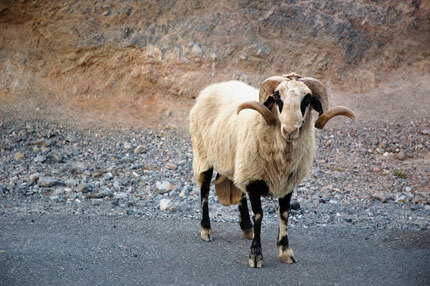 The fauna of Crete are as varied as the flora. 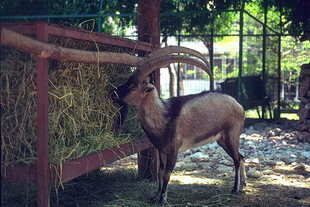 The unique Cretan wild goat (Capra aegagrus-cretica) has a distinctive and impressive appearance. 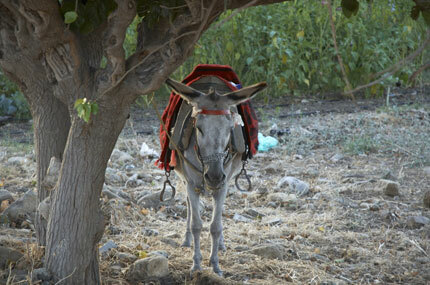 Protected by the government, the agrimi or "kri-kri" is found in the Lefka Ori, in the Samaria National Forest, and on the islets of Dia, Thodorou, and Agii Pandes. The Cretan "prickly rat(Acomus mimus) is also unique in the world. Other interesting mammals include the Cretan marten (Martes foina-bunites), the Cretan badger (Melesmeles-arcalus), and the Cretan wildcat (Felis silvestris agrius). Several kinds of lizard inhabit the island. The brightly coloured Balkan green lizard can grow to be over one metre in length. There is one poisonous snake, although locals claim that St. Titus drove all poisonous snakes off the island. Bird life on the island is extensive. 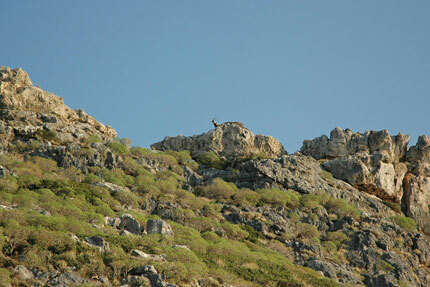 The Cretan golden eagle (Aquila chrysaetus) and the lammergeyer (Gypaetus barbatus), a subspecies unique to Crete, are distinctive among the birds. The mountains and ravines are home to griffon vultures. Warblers and swallows are common and goldfinches are occasionally seen. 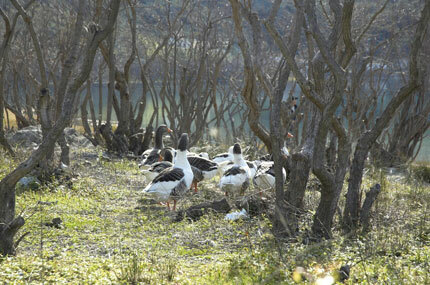 Migratory birds make Crete a stopover each spring on their way from Africa to Europe and on the return trip each autumn.